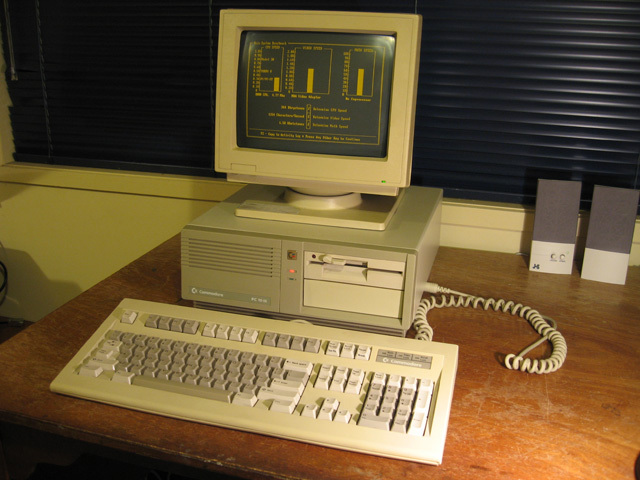 The model is an XT-clone with the bog-standard 512K RAM, 20MB hard drive and 360k floppy drive. As with its older cousin the PC-5, no fixes were needed to this machine. After a good clean and assessment, here's what I found. One of the first things that struck me about the computer was the small footprint. It's no desk hog, unlike my original PC-XT clone whose full AT-size case swamped any desk real-estate. Plugging up was easy, with the keyboard entering via a side socket (figure 2). It surprises me why more manufacturers didn't adopt this practice of putting the keyboard socket on the side or front. It's just so much more convenient! When I originally checked out the machine I used a generic AT-style keyboard I had lying around rather than the (then grubby) PC-10 III keyboard. The replacement didn't work so I tried another. That didn't work either? I tried a third. Same result. I was thinking all my keyboards were broken when the answer suddenly dawned. 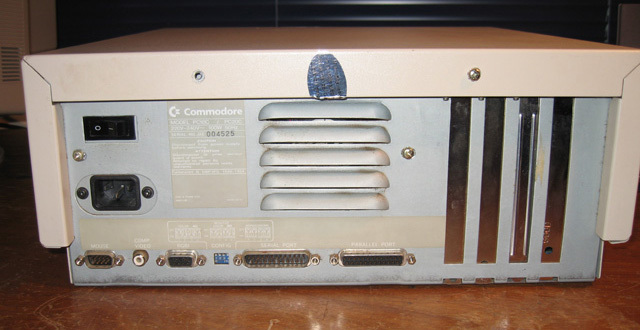 Despite its appearance, this computer was an XT-clone, not an AT-clone. It would need a XT-compatible keyboard (Duh!). I cleaned up the one that came with it, plugged it in and it was fine (figure 3). The only problem I found was that the down arrow didn't work. There was a down arrow on the numeric keypad though so it wasn't a problem. Sometimes redundancy is a good thing. Figure 3. PC-10 III Keyboard. Nice to use. I like my computers clean in every aspect so I re-formatted with MS-DOS 3.3 to get rid of any past life. 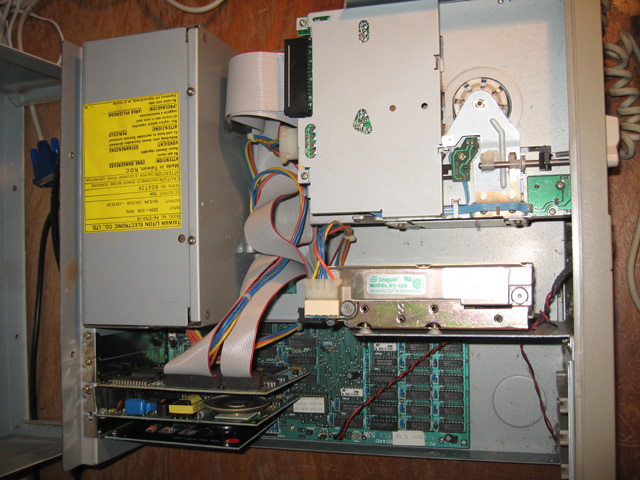 I installed Checkit and tested the hard drive, system board, ports and floppy drive. Everything was fine. The machine performs at exactly the same speed as the IBM XT i.e. 4.7MHz. Somehow I expected something faster? The model was made several years after the XT and it has that baby-AT look about it. No turbo button on this one though. One thing that demonstrated hardware evolution from the original XT was the number of built-in interfaces. 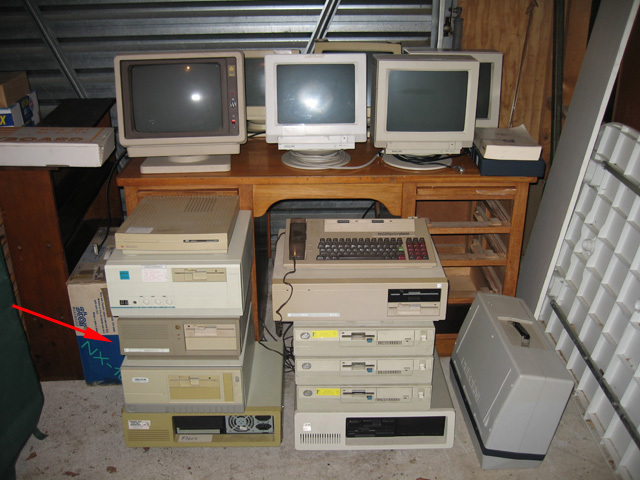 Around the back there were two serial sockets (one for a mouse), a parallel printer port, a hercules/CGA compatible video port (set by dip switches) along with a RCA socket for composite video. All these things would have required separate cards on the IBM XT. 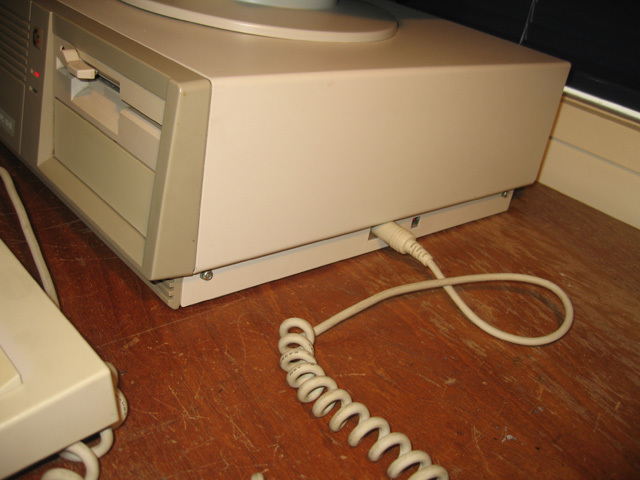 Opening the top revealed five slots; one was occupied by the disk controller, one by a clock-calendar card and one with a dial-up modem. The modem card looked interesting and very vintage. I wasn't going to phone any BBS so I extracted it and added it to the PC-card collection. I also removed the now-very-dead lithium battery on the clock card. 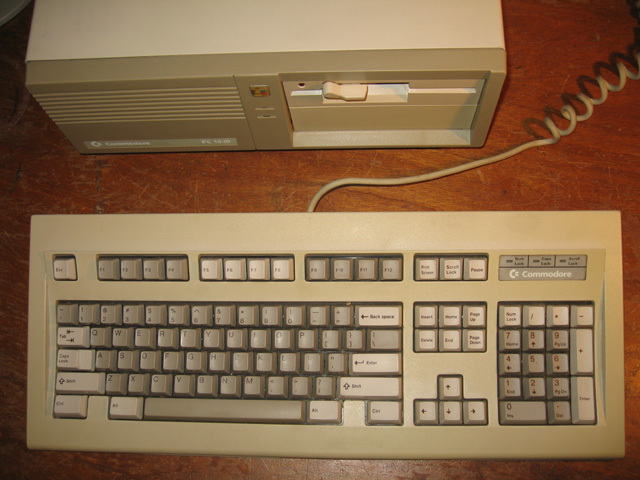 The PC-10 III is your standard later-model IBM XT clone designed to grab a slice of what was a very large pie. Good design, an unobtrusive size and a nice keyboard. Nothing much else to say really. It was fun playing with it as it brought back memories of my own amber-screen hercules-compatible XT clone from 1987 to 1990. Although it's small, I have no room for it in my collection. It would be a crime to just dump it so I'll pass it on to whoever can give it a home.